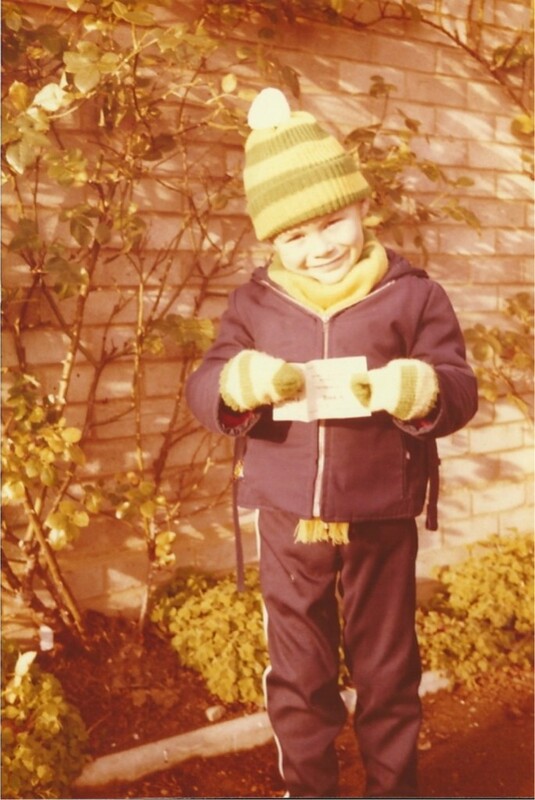 This is me, age six, before my first ever football match in December 1980. I'm outside my grandfather's house in Old Costessey, Norwich, because he was going to take me to see Norwich take on Tottenham. People say they always remember the moment they got to the top step and took in the view of a packed stadium for the first time. I don't recall that feeling - for the simple reason that it was overshadowed by a unique afternoon. First of all, when we got to Carrow Road, my grandfather gave me my ticket - and told the turnstile operator that it was my first game. The kindly man smiled and said "well, this is a very special moment, then", and waved me through without tearing the stub off. I still have the entire ticket, pressed inside the 30p programme with player of the season Joe Royle on the front. And I do remember the game, 35 years on, because of what happened next. It was the days when there was only one substitute allowed on the bench. So when Tottenham goalkeeper Aleksic had to go off with a gashed leg, Glenn Hoddle went in nets. This was after he'd already scored an amazing goal - and so nobody put it past him to save a penalty when Justin Fashanu was fouled with just eight minutes to go. This was to make it 2-2 and secure a valuable point in City's relegation battle.. and Kevin Bond did it! Looking back at the programme now there are some fantastic names. Fashanu and Royle for Norwich; Yorath, Perryman, Archibald, Villa, Hoddle and Crooks for Spurs. But no substitute goalkeepers thankfully - or I might not have fallen in love with the fantastic spectacle that was football at Carrow Road.